Domestic abusers are shamers, and we are very often far too willing to wear that shame. Shame. Shame on you. Shame, shame, shame. a painful feeling of humiliation or distress caused by the consciousness of wrong or foolish behavior. Humiliation, mortification, chagrin, embarrassment, indignity. But the kind of shame we want to consider here is false shame. This brand is not caused by wrong or foolish behavior (which would be true shame, something that can be good), but by false thinking about our behavior, often initiated by the false accusations of a wicked person. False shame is incredibly destructive. Shame is very powerful. If it is not truth-based, big trouble looms. I should be ashamed if I sin. That shame leads to repentance. I should be ashamed if I walk down the street naked, if I lose my temper, if I lie and so on. A lack of shame for sin is a sure sign of depravity and we see plenty of it in our culture today. The wicked love to mock and shame God’s people, so it is not at all surprising that abusers (revilers as the Bible calls them) thrive on shaming their targets. False accusations. Attributing false motives. “Let me tell you why you did that. Here is what you were thinking….”. You’ve heard those words I am sure. “God is not pleased with what you did.” Yada, yada, yada. False shame does not produce good results. It enslaves us. It leads us to false conclusions about ourselves, about the Lord and how He views us. It causes us to make bad decisions (like suppressing our true thoughts and believing the lies). “If you leave your husband, you are a bad Christian. God’s anger will be upon you. If you were really holy, you would be patient and forgiving no matter what your abuser does.” Lies. All lies. False shame. A typical and notorious reviler, hiding in a disguise of “saintliness,” once pulled this false shaming business on me. It worked for a time because I wasn’t wise to this tactic. I had confronted a wicked, evil, vile man who was blaspheming the Lord’s name and making threats against me. It was late at night and he had phoned me. I stopped him and told him he was a wicked man and he should fear using the Lord’s name in his profanities. He then threatened me and said “I ought to just come over there and knock you senseless.” Drunks never know when to shut up, you know. I told him “You come right on over. I will meet you by the front door of the church. Let’s go at it!” He shut up and that was the end of the conversation. Never had trouble with that guy again. Now, enter Mr. Shamer/Reviler. “Oh, pastor, I just disagree with what you did. That was wrong. As Christians we need to be kind and compassionate to people. We need to suffer persecution patiently. What you did was wrong.” Blah, blah, blah. Over the years this guy brought up these same shaming accusations several more times. Why was he doing this? What was his motive. Power and control. Its always about power and control. He must control the pastor. He must be better and more holy than the pastor. He must appear as a holy “martyr” ready to suffer anything for the Lord. So he plays situations like this for his own self-glory. Your abuser pulls the same kind of shaming tactics with you. Like most all of us, at first at least, you have put on his cloak of shame. It has labeled you like that Scarlet Letter of literature. I am stupid. I am not a good Christian. I am not capable of properly seeing things. I am worthless and good for nothing. 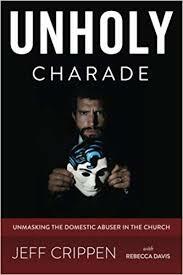 The fact is that I have talked with enough abuse victims over the years and listened to their stories to know this for a fact: Abuse victims, especially domestic abuse victims, particularly domestic abuse victims who are Christians, are the bravest, strongest, and most wonderful Christians I know. Enduring horrible abuse for decades, their faith still stands. They are willing to die for their children. They hope and pray that their abuser will repent and be saved (he isn’t going to, by the way). They put their trust in the Lord in the darkest times, even when everyone in their church abandons them or even puts them out. They are the last people on earth who need to be ashamed. Pastor Crippen…could you also address the issue of shaming when the victim is shamed on topics that do have truth in them? Such as a history that could be/is shameful? Behaviors that would illicit shame if they were being done in the present, but were years in the past? Leanne – happy to. If I remember. Ha! My brain tends to forget so dont be afraid to remind me. 1Jn 1:8-9 If we say we have no sin, we deceive ourselves, and the truth is not in us. (9) If we confess our sins, he is faithful and just to forgive us our sins and to cleanse us from all unrighteousness. Rev 12:10 And I heard a loud voice in heaven, saying, “Now the salvation and the power and the kingdom of our God and the authority of his Christ have come, for the accuser of our brothers has been thrown down, who accuses them day and night before our God. Rom 8:31-34 What then shall we say to these things? If God is for us, who can be against us? (32) He who did not spare his own Son but gave him up for us all, how will he not also with him graciously give us all things? (33) Who shall bring any charge against God’s elect? It is God who justifies. (34) Who is to condemn? Christ Jesus is the one who died–more than that, who was raised–who is at the right hand of God, who indeed is interceding for us. Thank you so much for your insight, Pastor Crippen. I’ve experienced this type of shaming, which generally leads to a somewhat paralyzing guilt. It may be more difficult to battle the shaming that has some truth mixed in it, rather than completely false accusations. However, the verses you’ve listed are that very sword of the Spirit needed to combat our mixed emotional responses. Personally, after years of “fighting,” I’ve left the battlefield and wiped the dust off my feet. I had no idea that eventually giving up the fight and moving forward was a biblical option until a sister in Christ brought a passage in Proverbs chapter one to my attention (where wisdom calls the complacent fool for a time, but eventually writes them off). Who’d have thought God gives us permission to stop trying? Thanks to your blog, and a couple others, the fog lifted and I’m grateful for your ministry exposing this particular wickedness. I wrote this little poem to remind me these feelings are based in FALSE (TOXIC) SHAME! I am under NO obligation to believe a LIE! When I wake up in the morning, ashamed of my big feet, I simply will remember his abuse was not complete. For while he tried to silence me, and make me lose my mind, my kind and gracious, loving God was surely on my side! Yes my abuser told me I was ugly too. Then had a smirk of delight on his face. Then he would act like nothing happened. It was a lie. I was young and beautiful and thin and had it going on. He wanted to crush that and murder my spirit. It did not. Loved the poem you wrote Susan! My only sibling brother “shamed” me over the phone last year. He and my aunt wanted me to sign papers to remove myself as a beneficiary on my uncle’s will. I was not expecting this as my brother received his share of the inheritance and my aunt had me believing I was her “daughter” all my life. My brother’s voice was very accusing as he tried to manipulate me with his slow and deliberate assault on my heart and conscience. Then he blamed me that I must have done “something” for my aunt’s displeasure of seeing me on my uncle’s will! His shaming and blaming tactics destroyed the relationship. And also the many lies I caught him in. In my mind, I put the “shame” right back on him and my aunt. For all the lies, manipulations, not honoring a dead man’s last will and testament, and most of all for GREED. Shame, shame on them for calling themselves Christians and behaving like the devils children. I also had another abuser tell me I had big hands. It was a put down to strip me of my feminity and how truly precious I was. I know a victim whose abuser told her she had an unpleasant smell. She believed it for a long time. Talk about messing a person up! Evil.